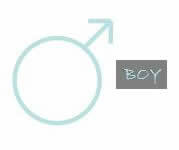 All About Love: boy or girl?? we will find out monday (hopefully) if this baby is a boy or a girl. we just mainly want to know that it's healthy, but i hope it cooperates with us so we can see if it's a he or a she! i got this idea from leslie to answer old wives tales, and see what we come up with! Woohoo im excited and cant wait!!! Ive never known the chinese predictor to be wrong! :) Cant wait to hear! !